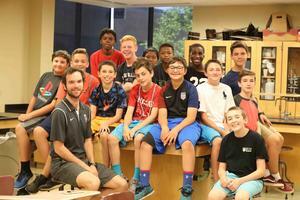 Camp experiences for boys of all ages: Collegiate Summer, Nine Sports Camps & Innovation Camp. Grandparents are welcome to join us on May 5 for a special morning at St. Joe's. Click for details and to RSVP. In order to be considered for admission to St. Joe's, prospective freshmen for Fall 2019 must complete an Application for Admission and sit for the Entrance & Scholarship Exam. School will be closed on Monday, February 25 due to the weather conditions. Stay safe. Hear from members of our St. Joe's community in our latest video release. Click Read full story to access the video.